China should separate politics and economics when investing in renewable energy projects in countries along its Belt and Road initiative, the head of an industrial alliance said on Wednesday. India and Japan, along with Europe, Africa, Southeast Asia and the Middle East have the biggest potential for renewable energy growth by 2030, according to research by China New Energy International Alliance, an organisation backed by government associations and firms in the renewable energy sector. “China’s national energy strategy, national strategy and renewable energy strategy are not necessarily matched…To realize sustainable development in international renewable market, we should appropriately separate political relations and economic interest,” Zhang Shiguo, vice chairman at China New Energy International Alliance, said at a conference. The Belt and Road initiative is aimed at building a modern-day “Silk Road”, connecting China by land and sea to Southeast, South and Central Asia, and beyond to the Middle East, Europe and Africa. Clean energy capacity is expected to grow by 4 percent by 2020 among the 64 countries alongside the Belt and Road initiative, while coal-fired power will decline, according to data from government think tank the Electric Power Planning and Engineering Institute (EPPEI). “India is the key market in South Asian region. However, it is hard (for Chinese enterprises) to enter the market considering current political relation,” said Zhang. Since early June troops from China and India have been embroiled in a confrontation on a disputed frontier region, claimed by both China and India’s ally Bhutan. 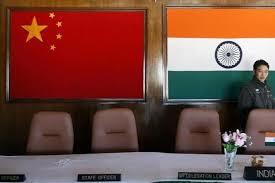 “I agree that it is hard to tackle (the) Indian market, but opportunities come along with difficulties,” Zhang said. Some power projects with 25 gigawatts (GW) installed capacity are in the preparatory stages and others with 23 GW capacity are planned in the South Asia region, the EPPEI data shows. One of the biggest mistakes is to focus on a stock price instead of its value.